Whether the subject is pop music, politics, or Americana, Randy McNutt takes readers behind the scenes and to little-known places across Ohio and the United States. He is the author of the popular Ghosts: Ohio's Haunted Landscapes, Lost Arts, and Forgotten Places, an offbeat travel narrative and history that features ghost towns, Indian battles, canal boat crews, nitro shooters, moonshiners, tattooed chickens and colorful Buckeye characters. Other favorite subjects are music and recording. McNutt wrote We Wanna Boogie: An Illustrated History of the American Rockabilly Movement and Too Hot to Handle: An Illustrated Encyclopedia of American Recording Studios of the 20th Century. McNutt is a graduate of Miami University in Oxford, Ohio, and the University of Cincinnati. He lives in his hometown, Hamilton, Ohio, with his wife, writer and teacher Cheryl Bauer, and their three cats. Randy McNutt has known his share of odd characters. He's found them in country towns, recording studios, ghost towns, and even the political arena. They've included the last Indian medicine man, the singing school superintendent, the retired barber who saved artifacts from Northwest Ohio's oil fields, the small-town Congressman who ran for President, the guy with a Statue of Liberty in his front yard, and the honky-tonk singer who wrote a hit song for Elvis but continued to live in Hamilton, Ohio, which happens to be Randy McNutt's hometown. "A lot of the stories were out there, just waiting for me to stumble upon them," McNutt says. "When I first started writing them for The Cincinnati Enquirer in 1976, in the small town of Batavia, in Clermont County, Ohio, I didn't have much editorial supervision. This freed me to experiment, make mistakes, and grow as a feature writer. If I had had an interfering news editor back then, I probably wouldn't have embraced writing so enthusiastically. Fortunately, I could find any feature stories I wanted, take chances with the writing, and slowly develop my own voice. I roamed the territory freely and the editors used what I sent them on the old office Teletype. When I got a little lonely, I had to call them." The Hamilton native stands six feet tall and has blonde hair (going gray) and glasses. His many hobbies include listening to music, collecting records, following baseball, reading, and writing. He's unassuming, mild-mannered, easygoing, and a nice guy. He seldom, if ever, gets angry, only stressed out to the point of pulling his hair when he has too many projects and deadlines at once. Ask him for writing advice and he gives it freely. He teaches from experience and the heart. Using Hamilton as his home base, McNutt travels around the nation, state, and region in search of stories for his many books and articles. His wife, Cheryl, usually accompanies him. Once, they went to visit the historic Muscle Shoals Sound Studio in Alabama. The temperature was 100 and the humidity was even higher. "Cheryl had a wet towel draped over her face. I thought she'd had it," he says. "At that point, I knew she'd go about anywhere with me." Sometimes McNutt turns to his own town for story ideas. (He and Cheryl have even written a book about the historic city.) When asked why he chooses to live in Hamilton, he says, "I am at least a fourth-generation Hamiltonian. I enjoy living where my family lived. The city offers a special continuity. Years ago, I went to Sheffield, Alabama, to interview a world-famous bassist. For years he had earned a livelihood as a studio musician while living in his hometown of about 10,000 people. At that point, I said, 'Hey, why not?' I appreciated that he has made a career for himself while living in a place where he has personal roots." One of McNutt's early feature stories was about the Liberty Cornet Band of Adams County in southwest Ohio. He found a dozen elderly musicians practicing in a tiny town hall in rural Liberty Township, and wrote about them for the newspaper, later for Ohio Magazine (for which McNutt served as a contributing editor for 15 years) and finally for his book Ghosts: Ohio's Haunted Landscapes, Lost Arts, and Forgotten Places (Orange Frazer Press, 1996). The band is a fading piece of Americana. "In my bureau days, I could roam the back roads of rural Clermont, Adams, Brown, and Highland counties to look for odd characters and offbeat things," McNutt says. "I fell in love with writing features about country communities. I'd find unusual people and quirky stories and the newspaper would blow them out on the cover or on page one. The older people in those stories were our connection to the early 1900s." His other articles included the Bentonville Anti-Horse Thief Society of Bentonville in Adams County and Fizzleville, the Brown County town (real name: Hiett) that was nicknamed for a local bowling team. New towns and characters will appear in McNutt's Lost Ohio: More Travels Into Haunted Landscapes, Lost Towns, and Forgotten Lives, to be published in fall 2006 by The Kent State University Press. While writing Ghosts from 1991 to 1995, McNutt roamed Ohio and found plenty of tales. One is Eugene, the corpse of an unidentified drifter that was kept for years at a Wilmington funeral home. McNutt says, "Thousands of people visited the funeral home to see Eugene. He was a real happening. He had his own little house in back. These days, you couldn't have anything like that around. It's too macabre." McNutt also traveled to "towns" named Henpeck, Rialto, Fly, Hog Town, Buljo, Blue Ball, Knockemstiff, Broken Sword, Rendville, and, of course, Sodom. He also visited the ghost towns of the Miami-Erie Canal, searched for General "Mad" Anthony Wayne, and sought memories of the disastrous Ohio River flood of 1937. Although he is known for feature writing, McNutt didn't start out writing that way. He signed his first contract as a songwriter and producer for Carlson Music, owned by Harry Carlson, founder of Cincinnati's Fraternity Records. Because of Carlson, McNutt became fascinated with the record industry of the mid-1900s. "Harry released a number of hit records. I used to go down to his suite in the Sheraton Gibson Hotel just to talk to him about his life and times," McNutt says. "He was one of the record industry's gentlemen, a true character. Harry once bought one of his male artists a powder blue Corvette as a congratulations for a hit record." McNutt started his recording career four years out of Hamilton Garfield High School, when he met Herman Griffin, an independent producer who had the distinctions of once being married to Mary "My Guy" Wells and being the first artist produced by legendary Motown founder Berry Gordy Jr.
From 1970 to 1999, McNutt produced a number of recordings, even landing one on the middle of the Cashbox county-music charts and others on independent-record charts across the country. "I'm not a musician or singer," he says, "but I enjoy music very much. I grew up in a home that always had songs. My father played guitar and sang. My sister sang and played piano and harmonica. I sang. So naturally, I wanted to produce a record. "Herman used to tell me tales about touring with The Beatles and hanging around Detroit in the era of Motown Records. All that blew me away. I couldn't believe that Herman and other older producers took me seriously. Through Herman, my partner, the singer Wayne Perry, and I landed a singles deal with Avco-Embassy Records in New York. But the label didn't release our record. Instead, they put out one by The Stylistics. It was a hit. We weren't." By the early 1970s, McNutt continued his college education and opted for a career in journalism. But he continued to record sporadically. He produced three rockabilly albums in the 1980s for European labels and wrote a well-received book, We Wanna Boogie: An Illustrated History of the American Rockabilly Movement. An artist profiled in the book, Bill Watkins, invited McNutt to produce him. Their friendship resulted in a 1990s album released in Germany. "Today's record industry annoys me," McNutt says. "Many of the songs are either bland or offensive and the production is homogenous and artificial. The craft of songwriting has declined. It reflects a negative lifestyle. Everyone wants to sound alike. They're afraid to be different. The tracks sound robotic. Give me real musicians!" 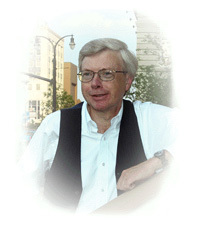 From the early 1980s to 1999, McNutt wrote features for Ohio Magazine. Most were about unusual people. Meanwhile, he continued to write for The Enquirer and freelance for other magazines and newspapers across the country, including The Denver Post and The Detroit News. McNutt says his wife helped him develop his writing through her faith and attention. A writer herself, she edits McNutt's work (and he edits her). 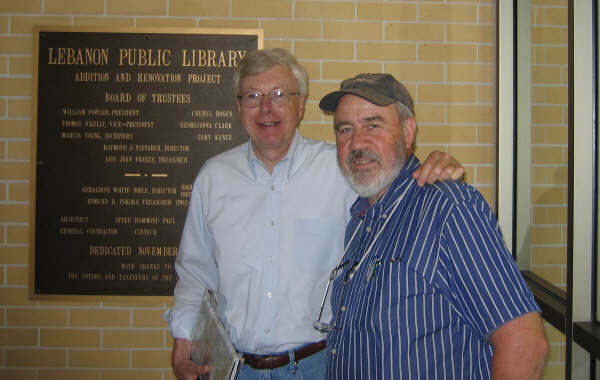 McNutt also credits John Baskin, author and former editorial director of Ohio, for teaching him to be a magazine feature writer. McNutt used that knowledge when he entered the book field. "John took a chance on me when he didn't have to," McNutt says. "He'd send my pieces back, edited, and explain what he did and why. He'd tell me to fix them. The next challenge was to go out again and make the stories work. We operated this way for several years before I ever met him." In turn, McNutt has helped other writers. He read some of my work, making comments and suggestions. It was never, "You should do this or you should do that." His comments are honest, to the point, and direct. He has no ego. He is humble and his writing shows the energy, care, and detail that make him a very good writer. At Ohio, McNutt also worked with editor-writer John Fleischman, now an author and full-time freelancer. Fleischman says McNutt helped give the newspaper a dimension that newspapers often lack, which is good writing and storytelling. 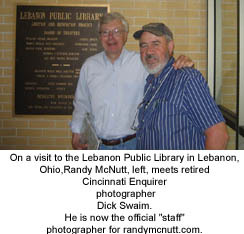 He explains, "Randy is the last of the old-time classic feature writers. Each larger newspaper used to have a group of feature writers. But not everyone on the staff appreciated the work. I remember Randy telling me once about an Enquirer news editor whose lip curled whenever he heard the word 'feature.'" Jon Hughes, professor of English and sometimes the director of the writing program at the University of Cincinnati, has known and respected McNutt for years. "I think he's an extraordinary writer," Hughes says. "The piece he did on the Hamilton Memorial with curator Ann Warren and in remembrance of his friend, Mike, who was killed in Vietnam, was one of the most touching articles, without being sentimental or melancholy, that I've ever read. He's a real craftsman, a fine writer." At Baskin's insistence, the story became the final and most moving chapter of Ghosts. Hughes leans back in his chair at his desk in his McMicken Hall office, strokes his beard, and says, "Randy's got so much talent that I'm surprised he hasn't moved on. But he maintains a great interest and devotion to this part of the country. I have no idea why he lives in Hamilton. He could be writing for the Chicago Tribune. He could have moved on a long time ago. But he's locked to our area by choice. It's a compliment to him. He really loves Ohio." Asked why he likes to write, McNutt remains humble and low-key as he answers the complex or not-so-complex question. Yes, he admits, it's difficult, frustrating, and time-consuming work. "But something compels me to do it," he says. "I can't explain why. It's almost like I'm solving a puzzle or making something out of nothing. It's a challenge. Seeing it all come together, that's why I like to write. It's not easy and it actually gets more difficult for me." For his trouble, McNutt has received critical praise for his books, especially his music, history, and travel narratives, such as Ghosts and Guitar Towns: A Journey to the Crossroads of Rock 'n' Roll (Indiana University Press, 2002). Now I know that Leo Durocher was wrong. Nice guys do finish first. Mr. Lueders is a Cincinnati freelance writer and the author of Second Chances. Courtesy Heartlines, 2001 and 2005.